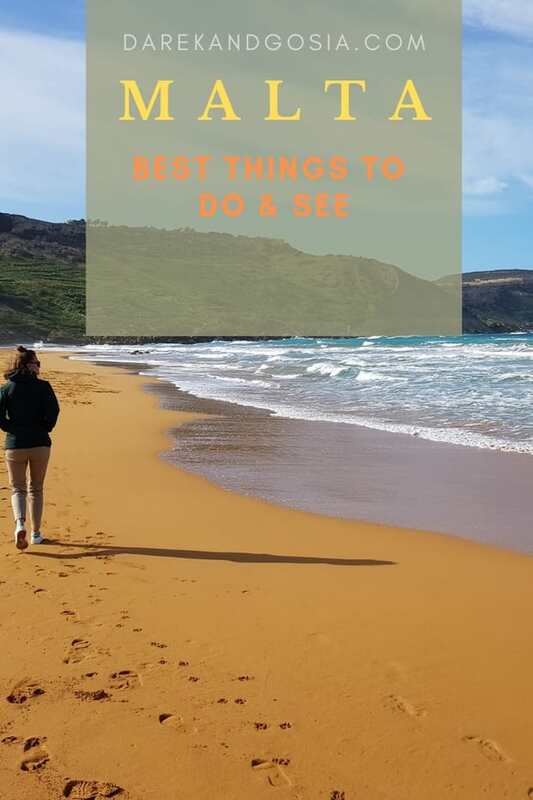 Best things to do in Malta & Gozo - TOP points of interest on Malta Island! 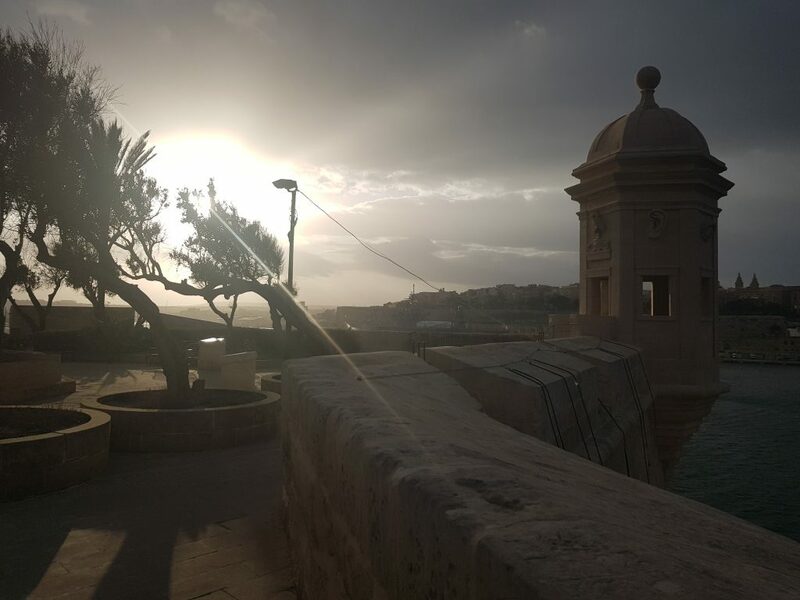 Home » Best things to do in Malta & Gozo – TOP points of interest on Malta Island! 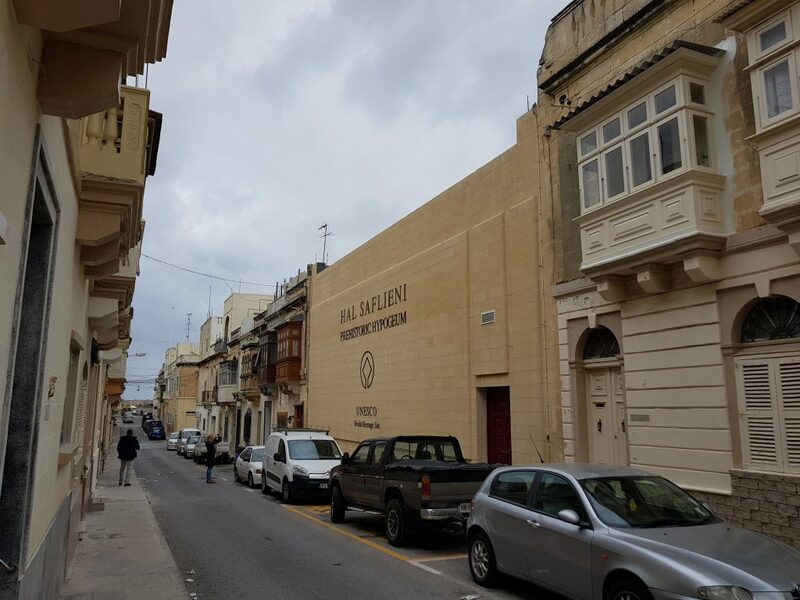 Malta? But where is that country? 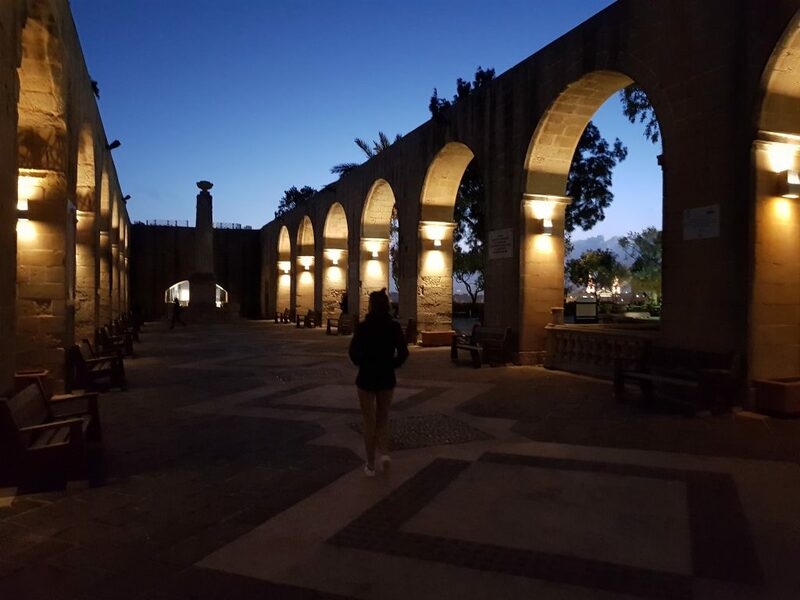 Are there any interesting things to do in Malta? 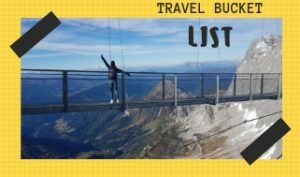 If you are from outside of Europe, you have probably never heard about this tiny country. And for sure, you wouldn’t be able to point it on the map, right? 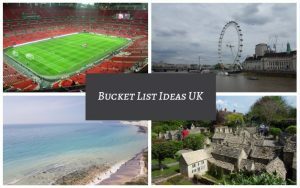 Not to mention, that you know the top attractions in Malta and definitely don’t have this European island on your travel bucket list – and that’s a huge mistake! 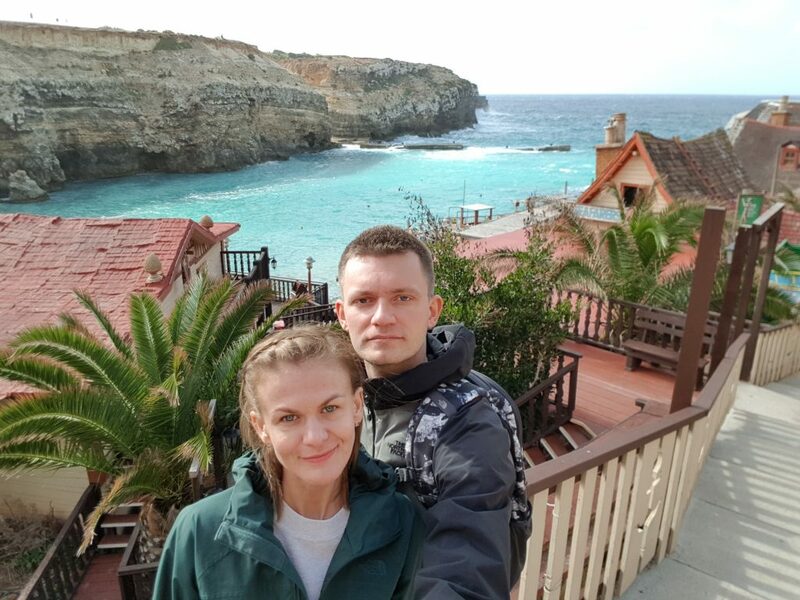 There are many interesting things to do in Malta, and as the country is very small, it’s a perfect destination for a 4-5 days trip. 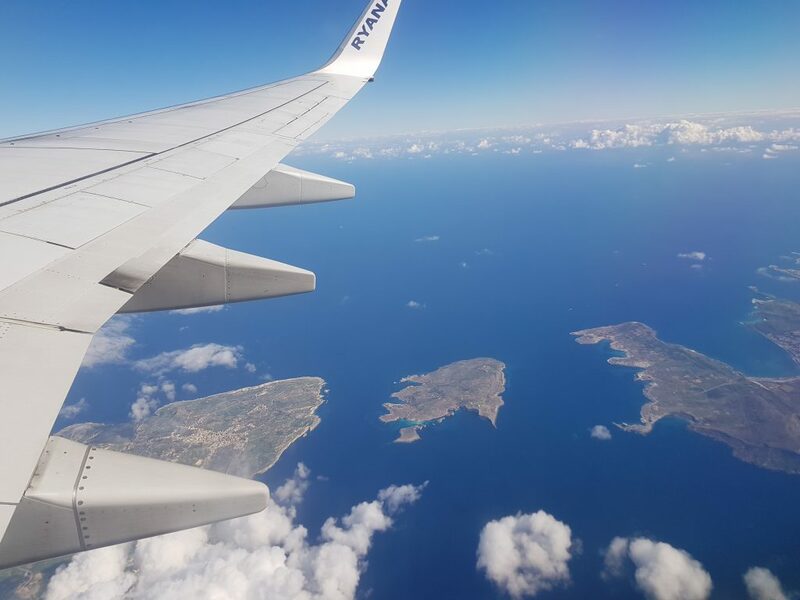 The best way is by plane – there are many direct flights to Luqa from different airports all over Europe. 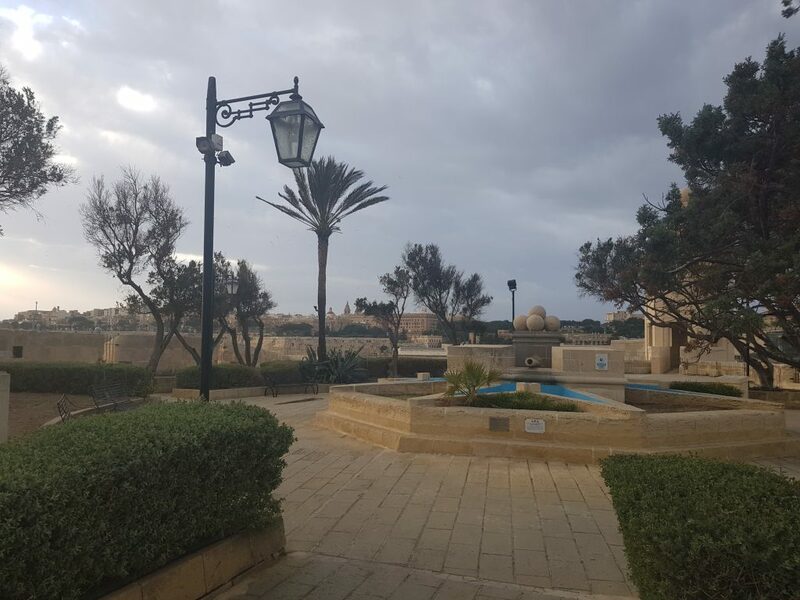 If you plan to rent a car, please note that you will have to rent from the Luqa airport – NOT Valletta city! The capital is located around 8km from the airport. Did you know that the Hypogeum was first opened to visitors in 1908? WOW – that’s over 100 years ago! 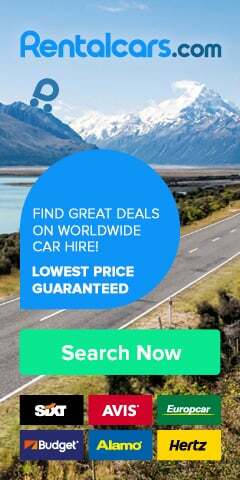 Since then, it has been visited by many thousands of people. As all of them had an impact on the delicate micro-climate of the archaeological site. Nowadays there are daily limits for visitors. The site is open 8 hours a day and only 10 visitors are allowed in per each hour. This small fishing village is one of the most charming villages in Europe – a must have on your bucket list! 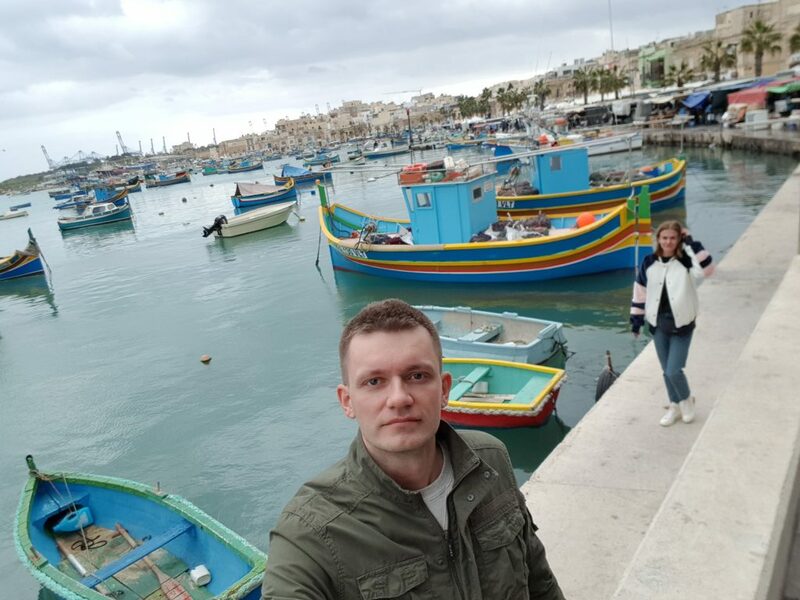 Who wouldn’t like to take a picture with many colourful boats in the background? 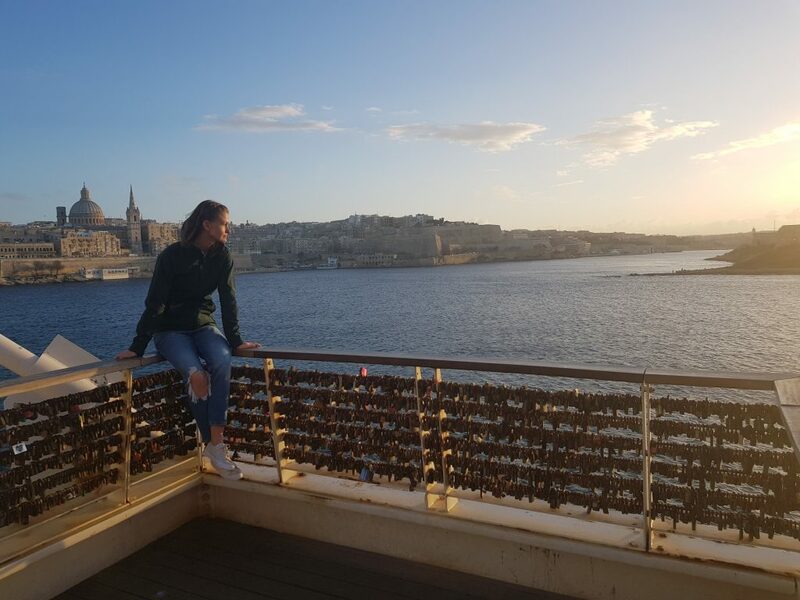 🙂 This is a top place to see while visiting Malta! 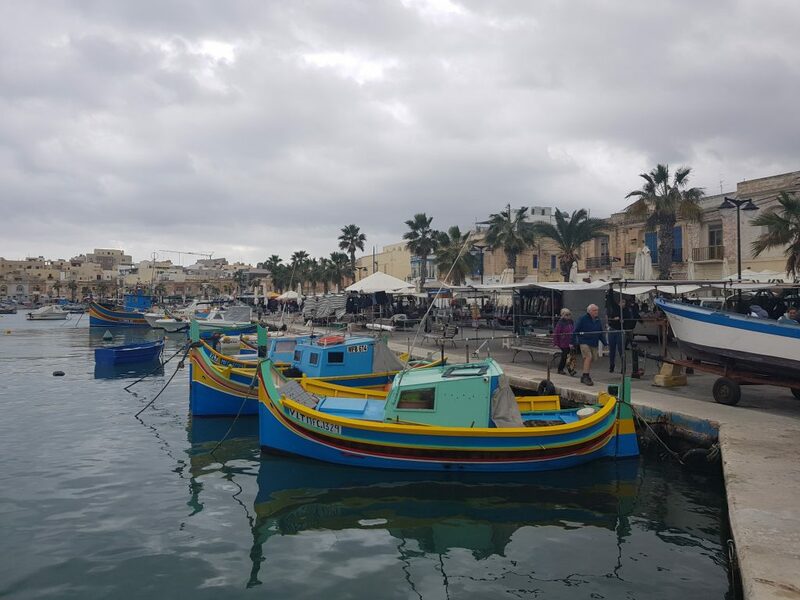 The Marsaxlokk Sunday Market is a very popular tourist attraction. So, if you fancy buying a freshly caught fish or seafood – this is a place for you. If smelly fish is not your thing, you can buy many local products like fruit jams and honey. Or just go for a cup of coffee to one of many cafes. 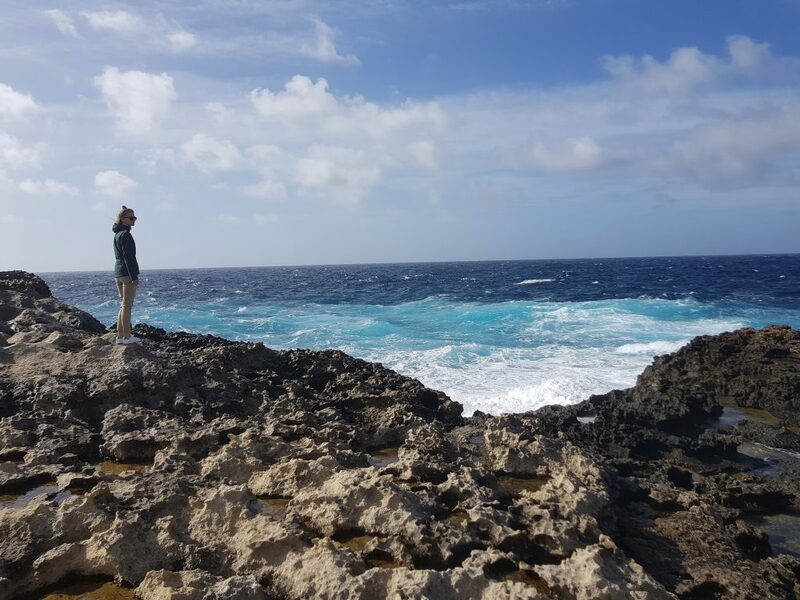 The stunning deep-blue water and natural limestone rocks create an unforgettable landscape – one of our favourite spots on the island! There are no amenities nearby so take some snacks and water if you plan to spend a few hours over there. 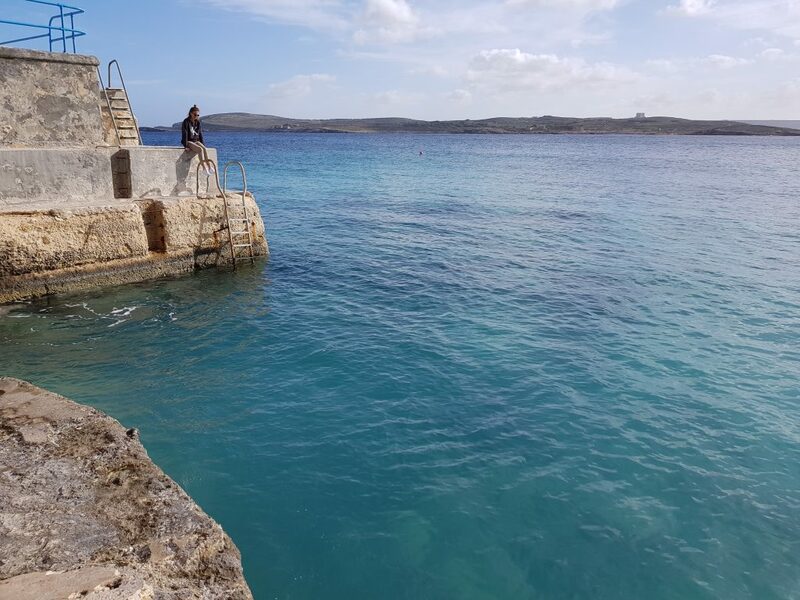 Is a natural swimming pool in the top of things to do in Malta? 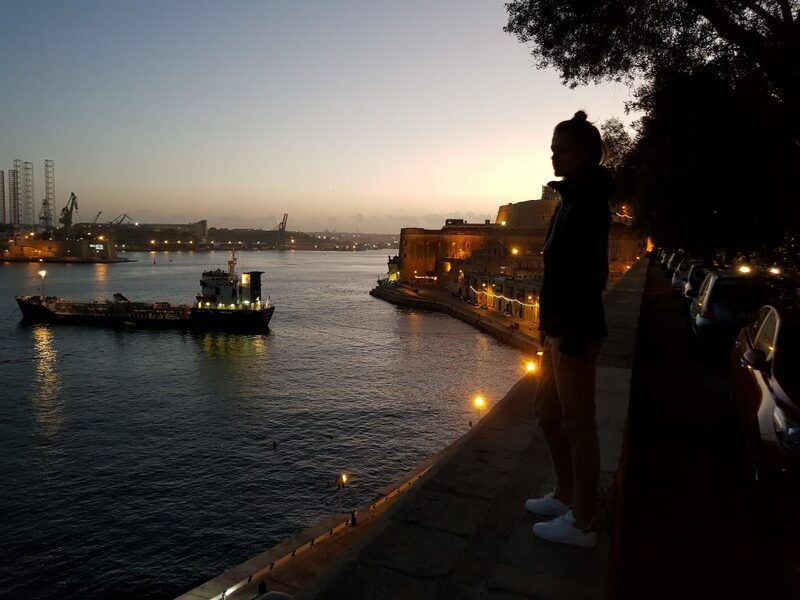 Best place to see Valletta’s waterfront? Il-Gardjola Gardens of course! 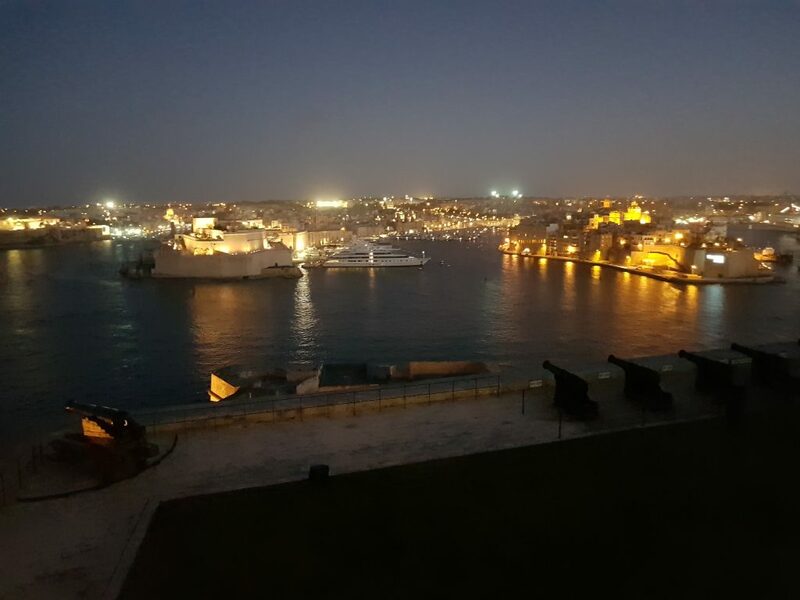 Well, it’s not a garden really but the views from there towards Grand Harbour and Valletta are second to none. You can really enjoy the scenery in peace and quiet. But be prepared that it will be extremely windy in winter months. Still, worth to spend an hour watching the yachts come and go. 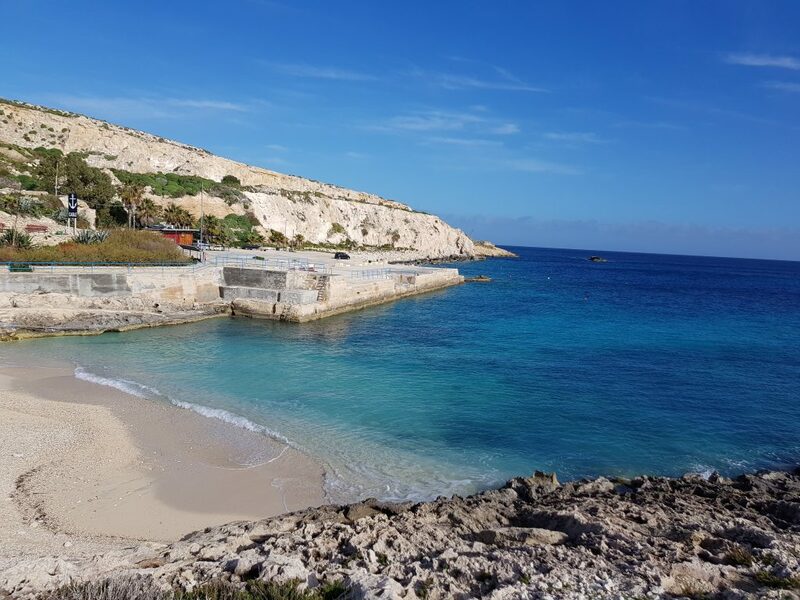 Many people say that the Blue Lagoon in Comino is the most beautiful place in the Maltese islands. 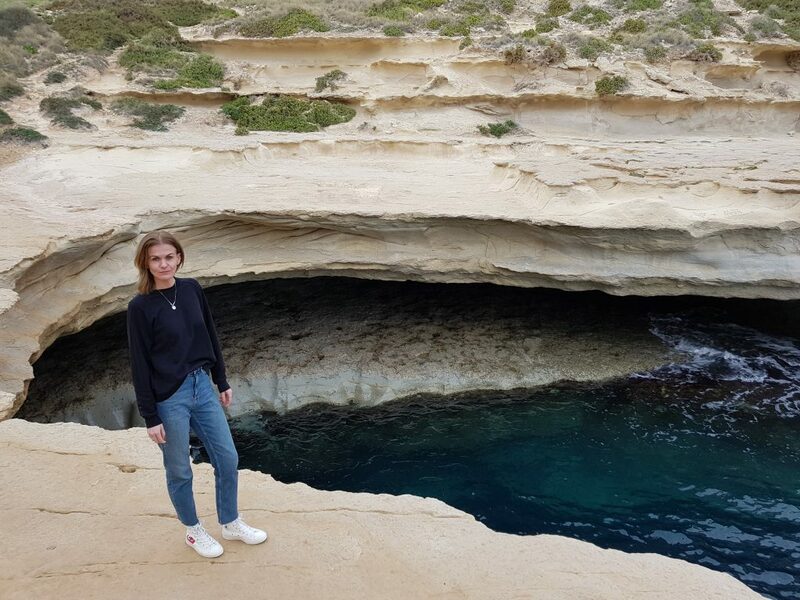 If the Blue Lagoon is your top place to see while visiting Malta, then do NOT go there in winter! 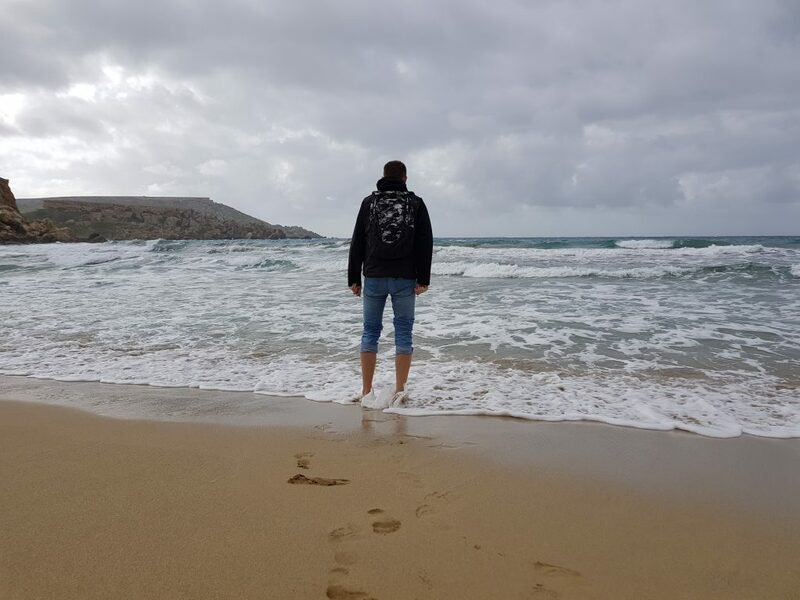 The trips to the lagoon rely heavily on the weather. And the weather in winter is very unpredictable. 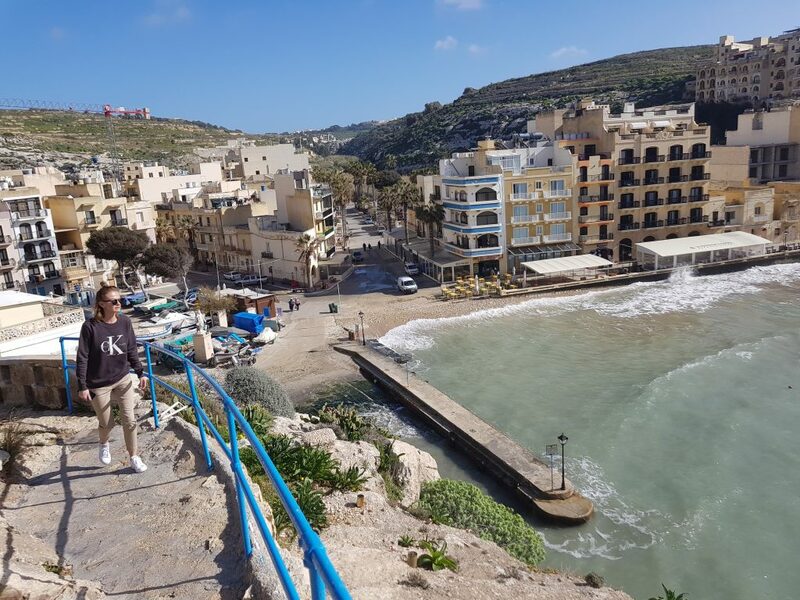 As winter is a low season in Malta, the locals will not take any risk to do a boat trip when it’s windy and the sea is rough. 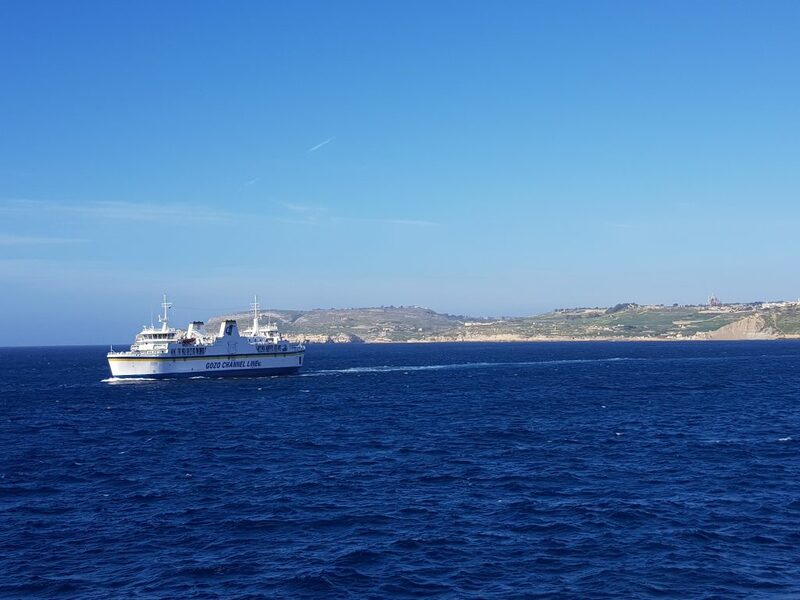 In order to visit Gozo, you will have to take a ferry from Cirkewwa. 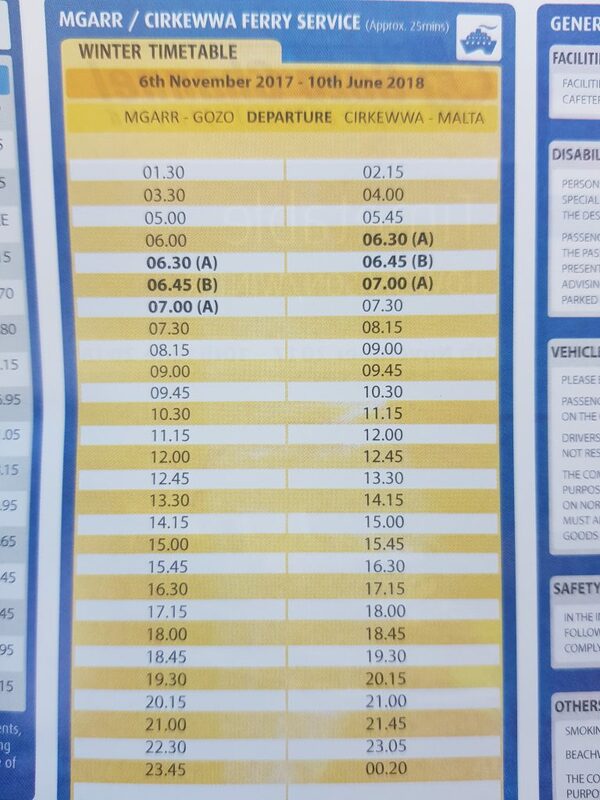 No idea why, but you buy your ticket only on the way back from Gozo. The ferry takes approx. 25 min and you can check the latest schedule and prices here. 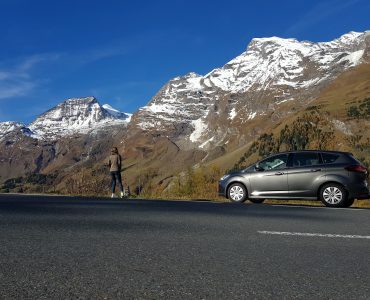 You can take your rented car on the ferry (the fee will be higher) but do note that you will have to queue for a bit. 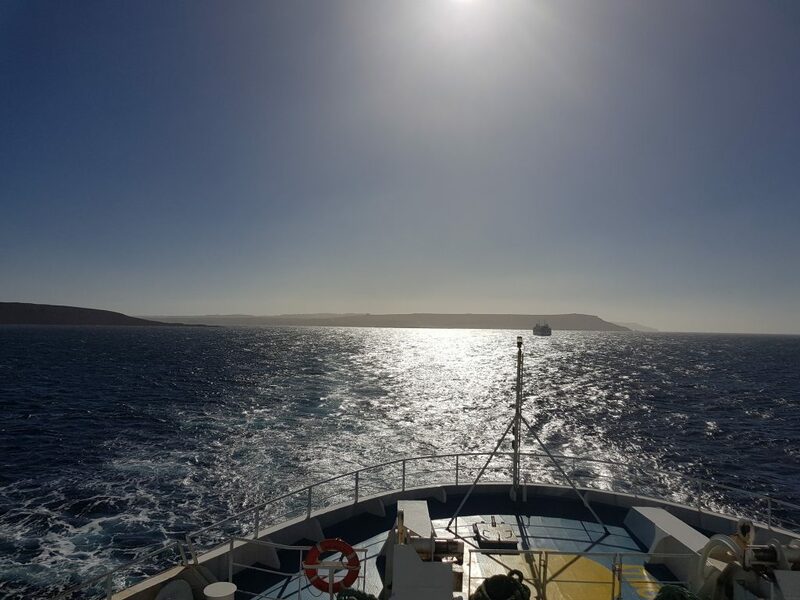 The ferry is used by the locals to travel between the islands, so it can be busy at pick hours – make sure you plan your day with this in mind. 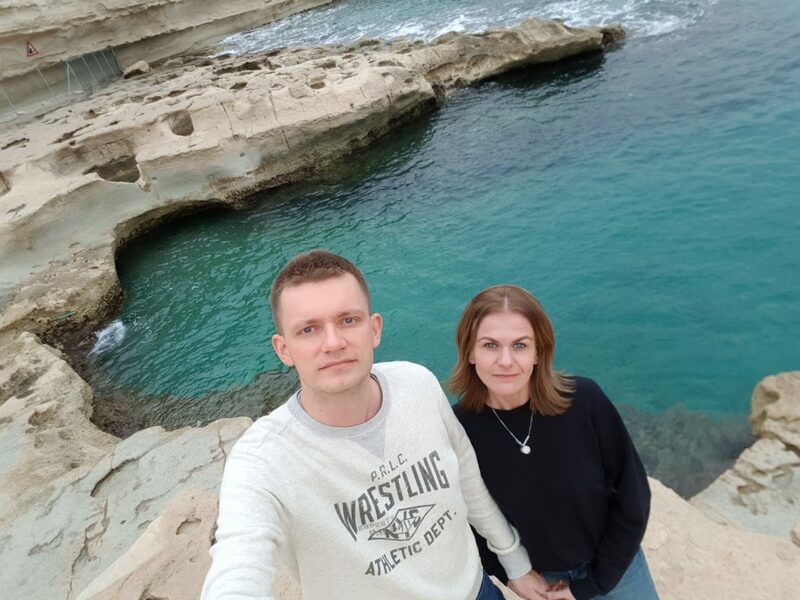 If you have a spare couple of hours on Gozo, definitely go to Xlendi Beach. The cliffs and massive caves are absolutely stunning! 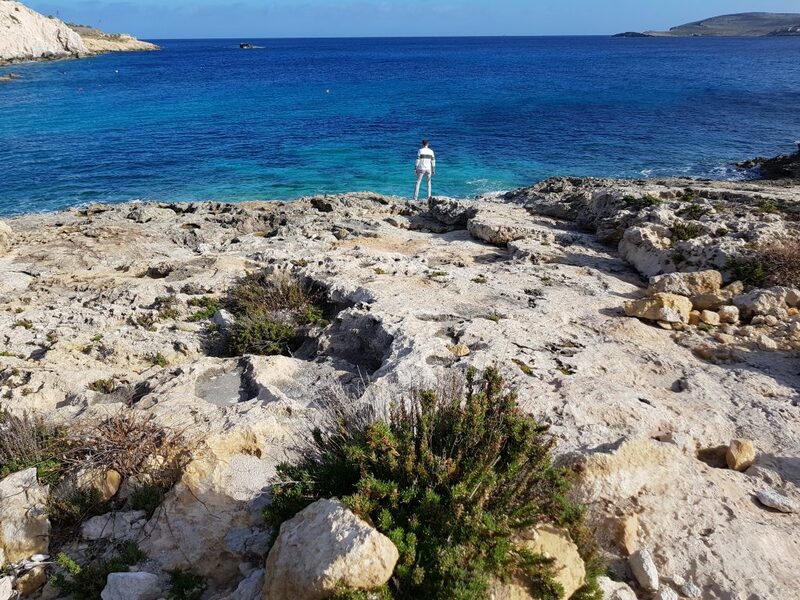 It’s a very popular spot in summer for diving and snorkelling. 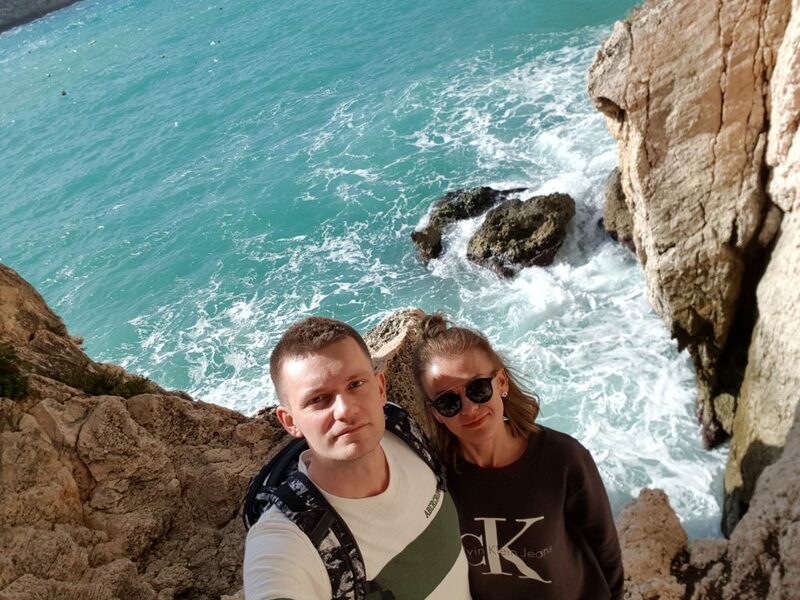 Outside of the high season, you can take a walk along the cliffs, where you will have wonderful views out over the ocean and few amazing rock formations on the shore. A superb place for photography! 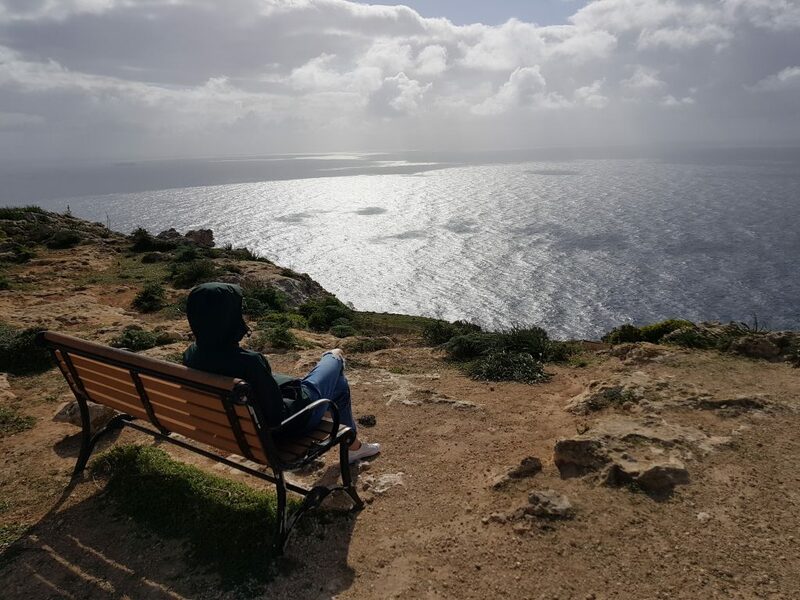 Azzure Window in Dwejra Point is one of the obligatory points on Gozo. 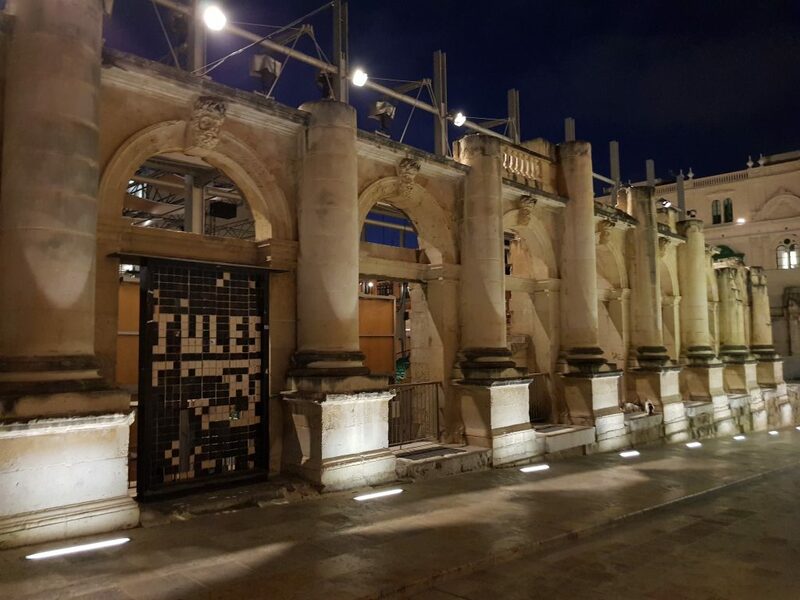 Well, it used to be… until it collapsed in 2017. 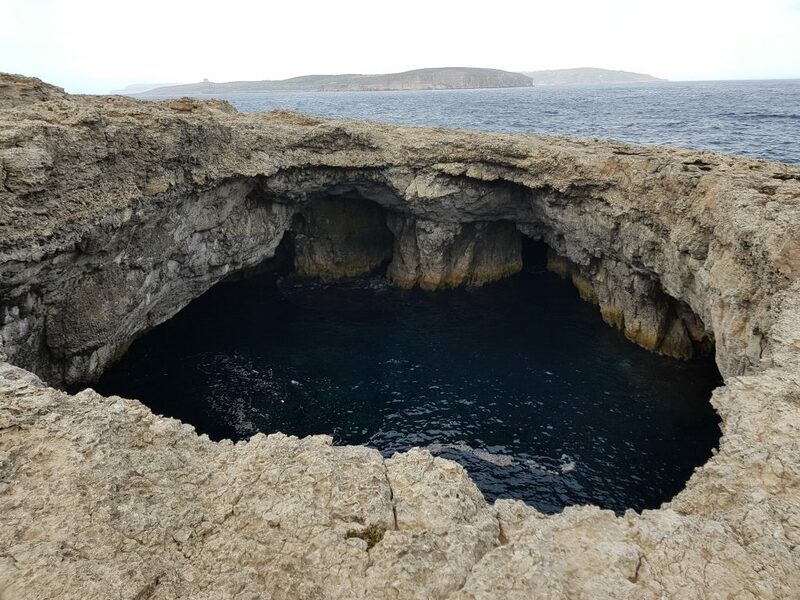 The tad-Dwejra was one of the island’s most popular attraction. 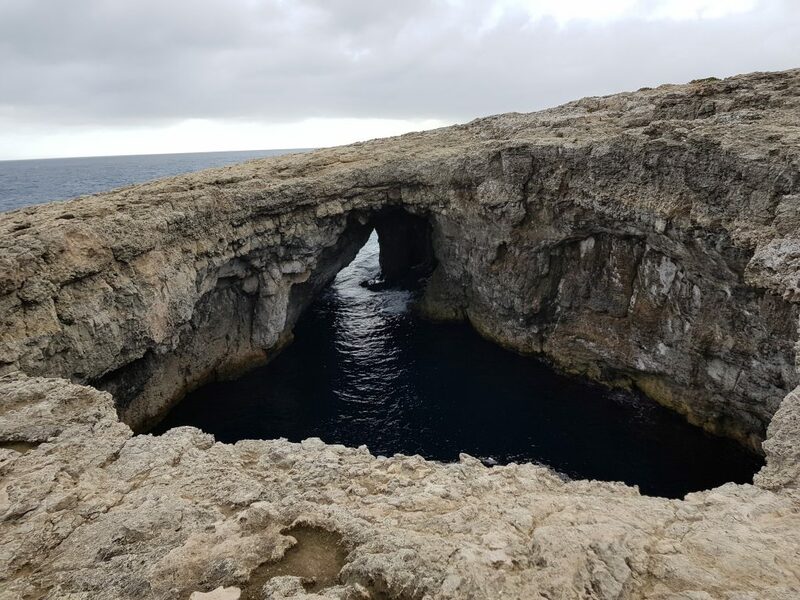 It was a natural limestone arch, which developed through see and rain erosion over a period of around 500 years! 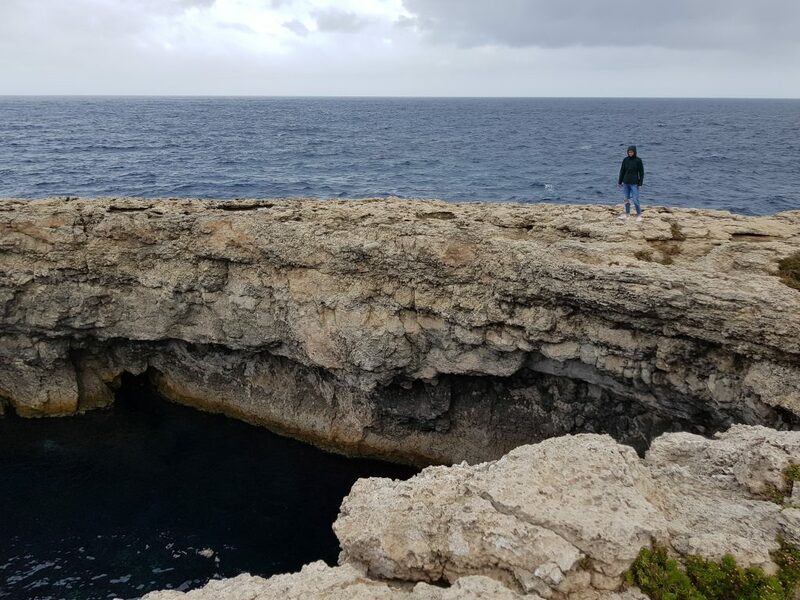 The Blue Hole is located just next to the place where the Azure Window once stood. It’s a world-class dive site, so if you are a big fan of scuba diving – this is a place to go! 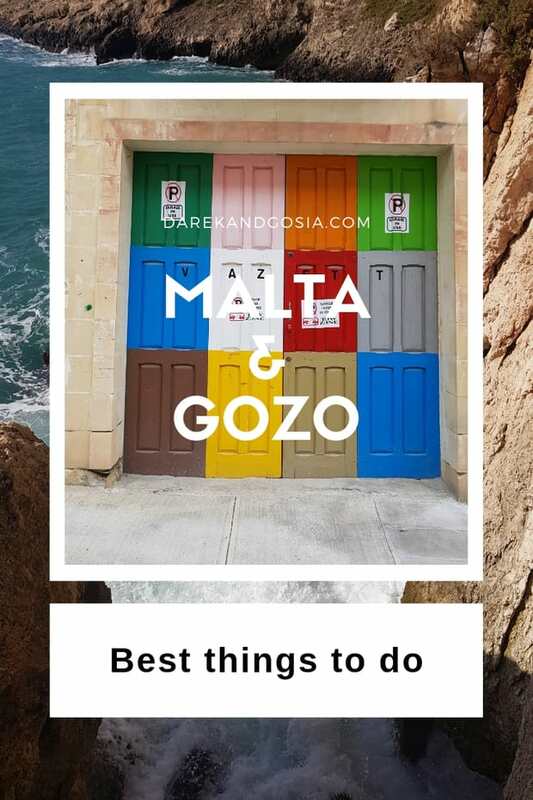 A must have on your bucket list to do in Malta & Gozo. 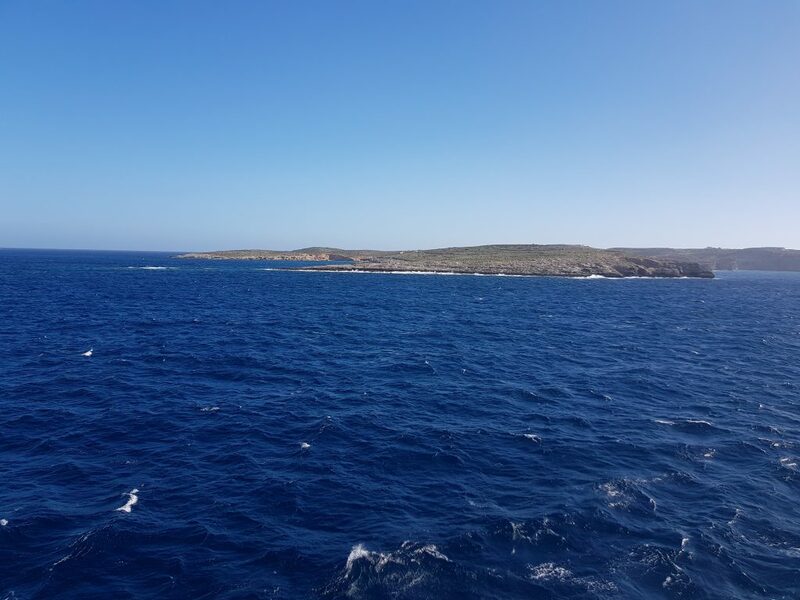 Unfortunately, we also didn’t see the Blue Hole 😐 due to weather conditions – it was very windy, and the sea was very rough. 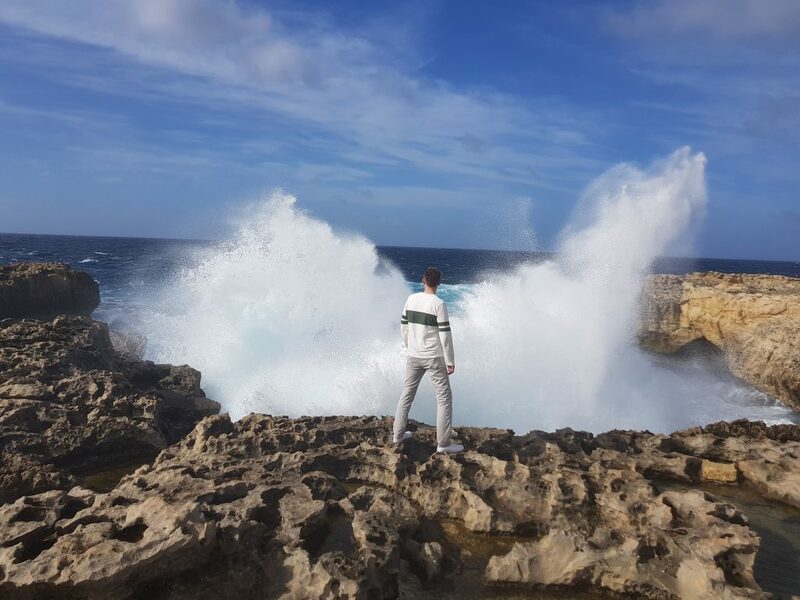 Too many massive waves to see the Hole. 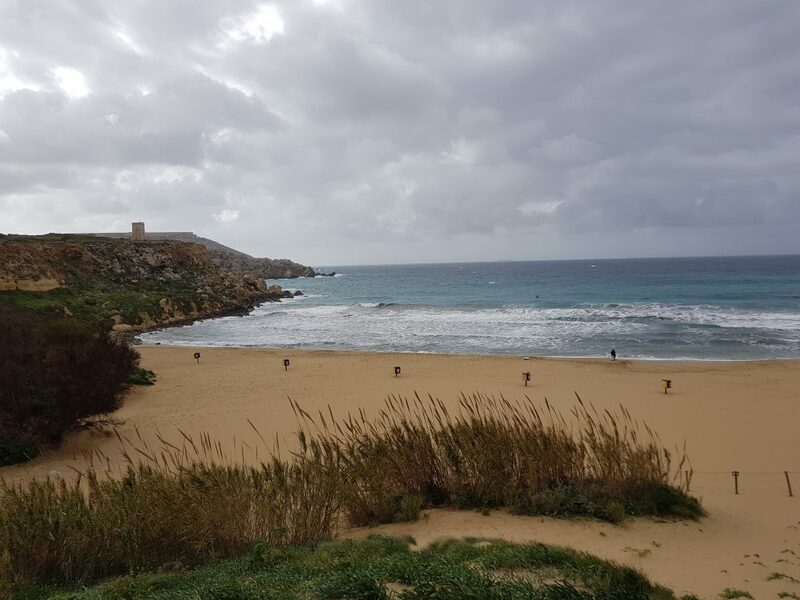 Malta’s best beach – without a doubt! 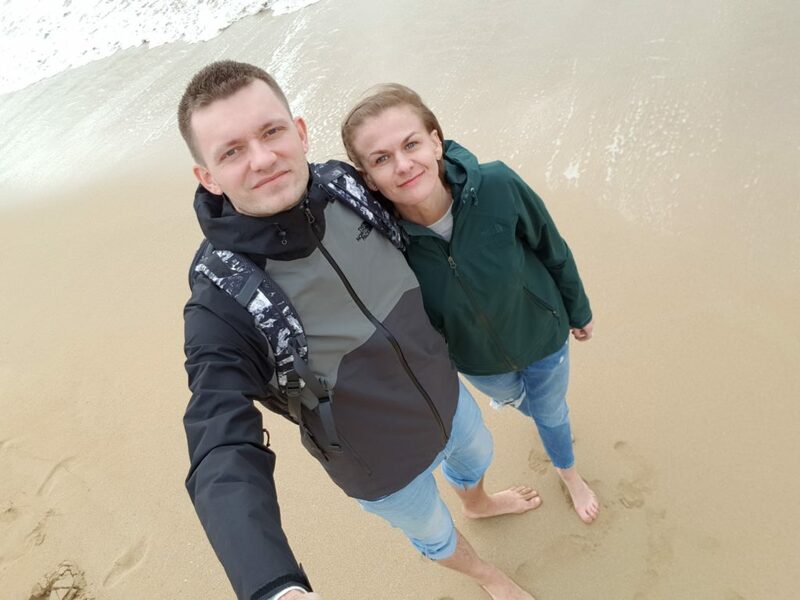 We absolutely loved the orange/red-ish colour of the sand. 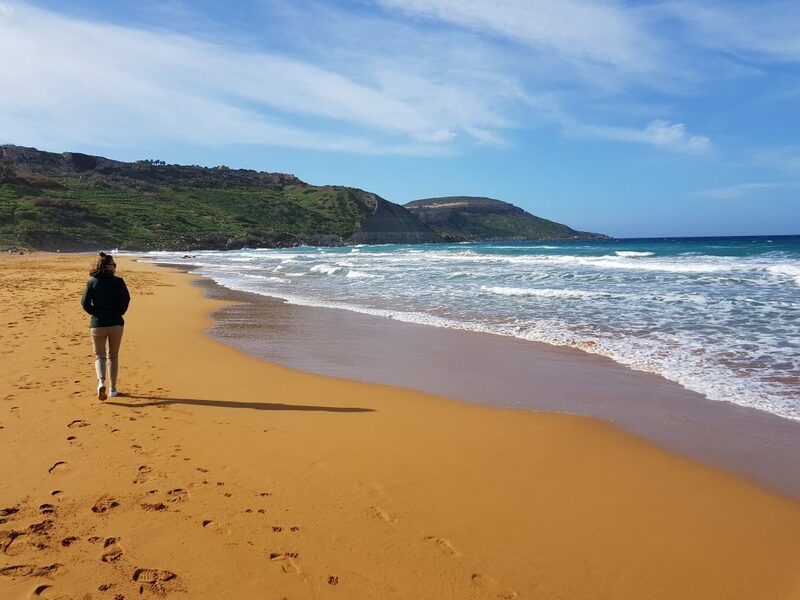 Ramla Beach is one of the most stunning beaches in Europe! 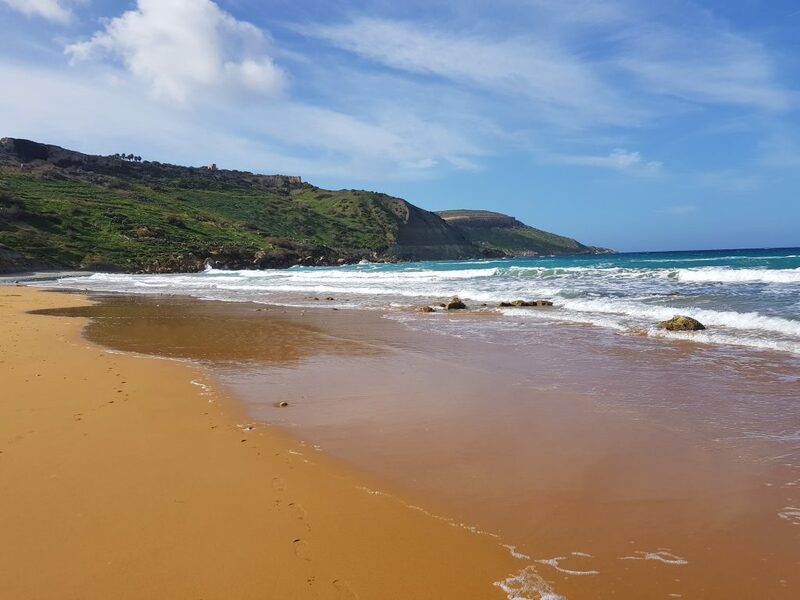 The beach is located on the northern side of the island of Gozo and it’s called by the locals a “Ramla il-Ħamra” which reflects the colour of the sand. 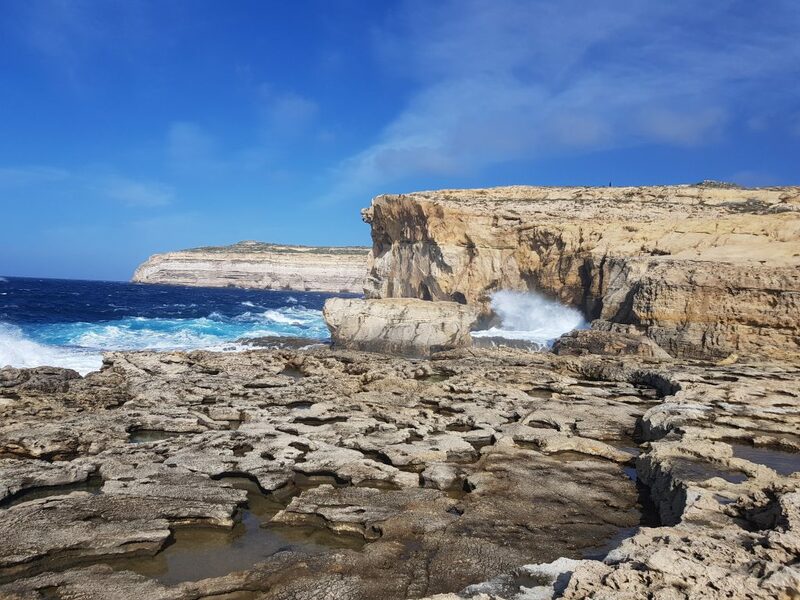 One of Gozo’s hidden gems! 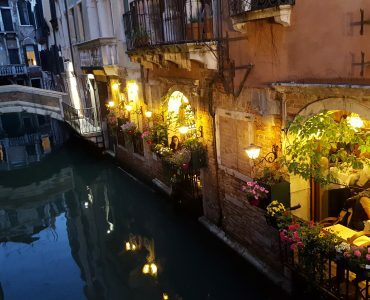 An amazing place to escape from the crowd, just look at the pictures below! 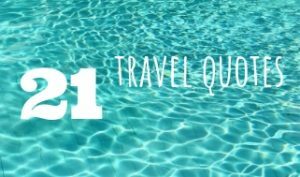 The scenery is amazing, and the crystal clear, azure water – stunning! 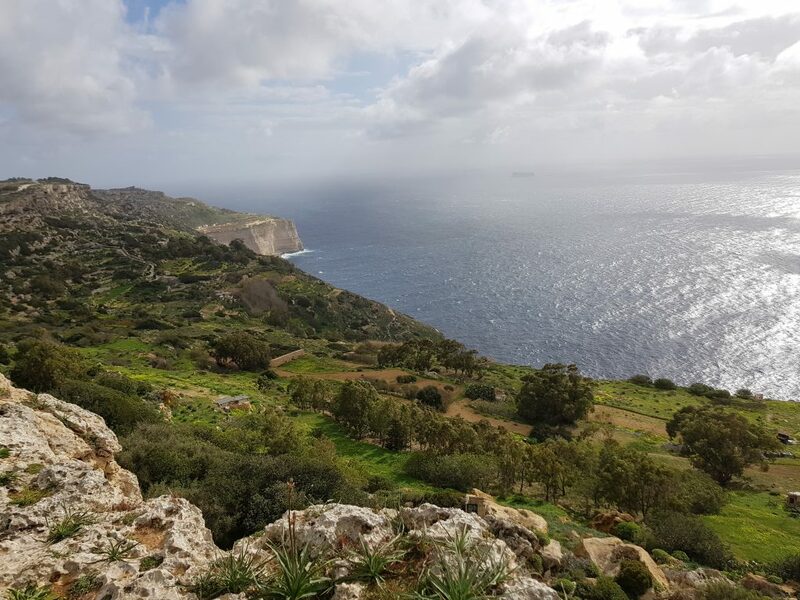 Great as your starting (or last) point on the day trip to Gozo. 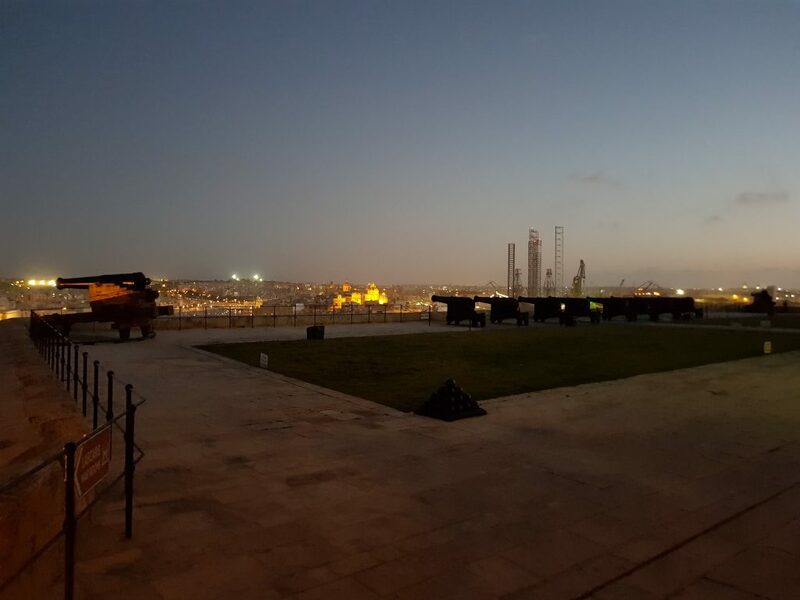 – Upper Barrakka Gardens is one of your top spots to visit in Valletta – just look at the amazing view from this viewing point. 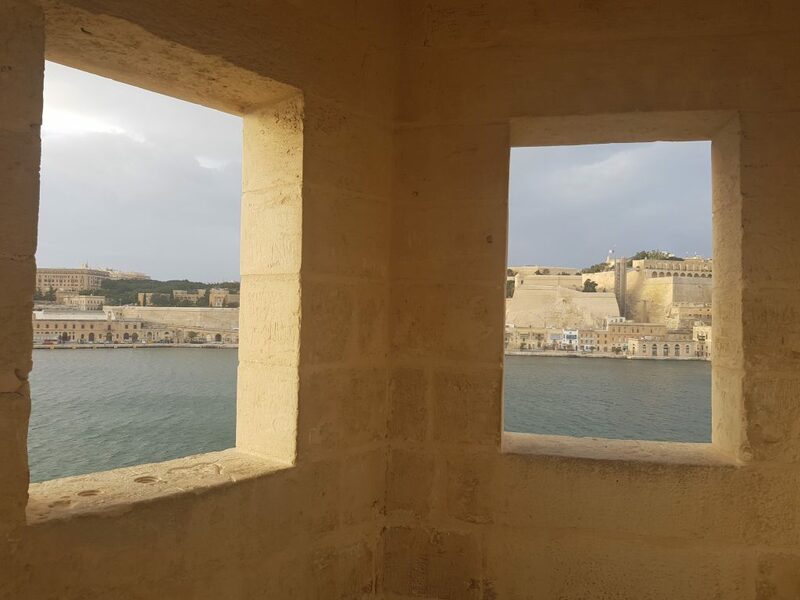 – The Saluting Battery – OK, if you would like to see the gun firings, you would have to visit this place earlier in the day (for a Noon-day Gun at 12 pm or Evening Gun at 4 pm). 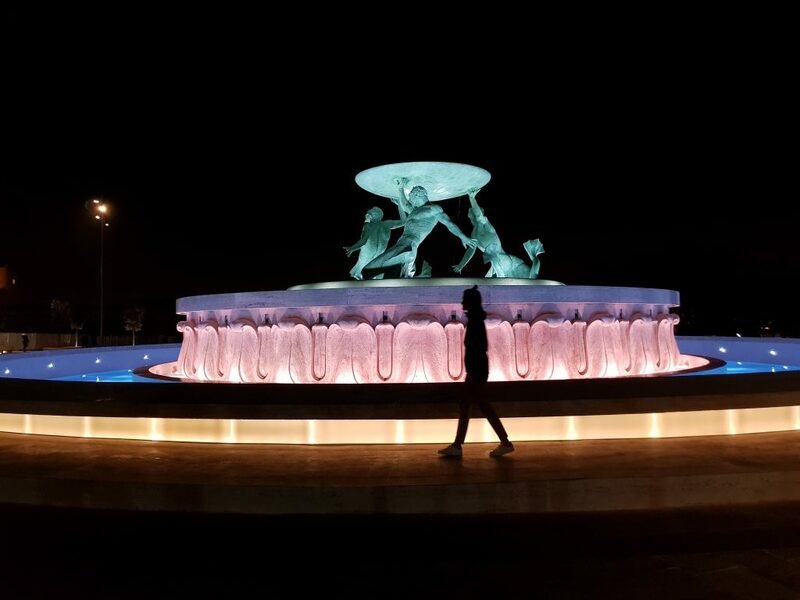 – Watch the colourful Triton Fountain, one of the most iconic landmarks in Malta. 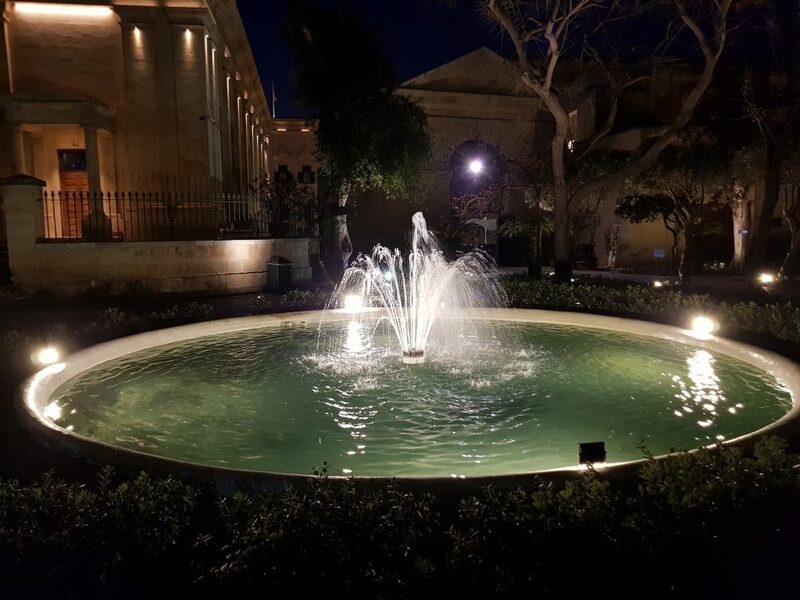 It’s located just outside of the Valletta’s City Gate. 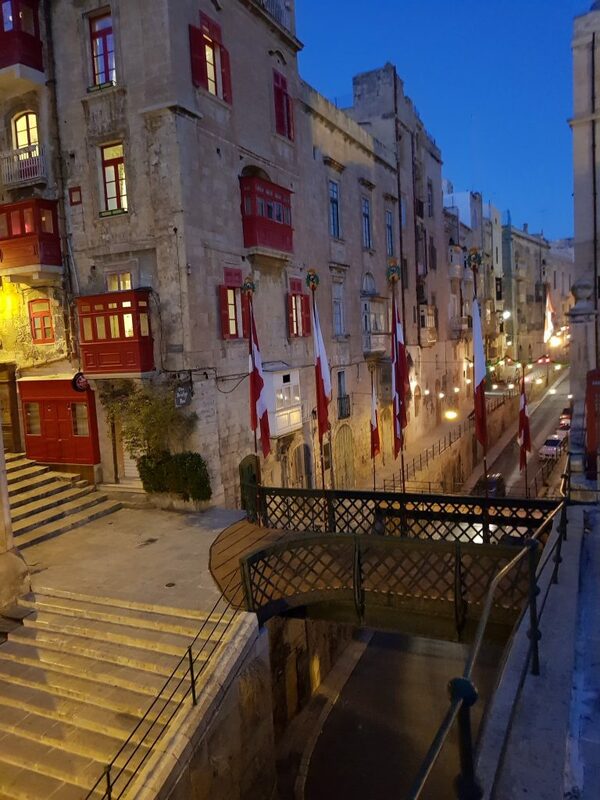 – Just walk through Valletta’s little streets and admire old buildings. 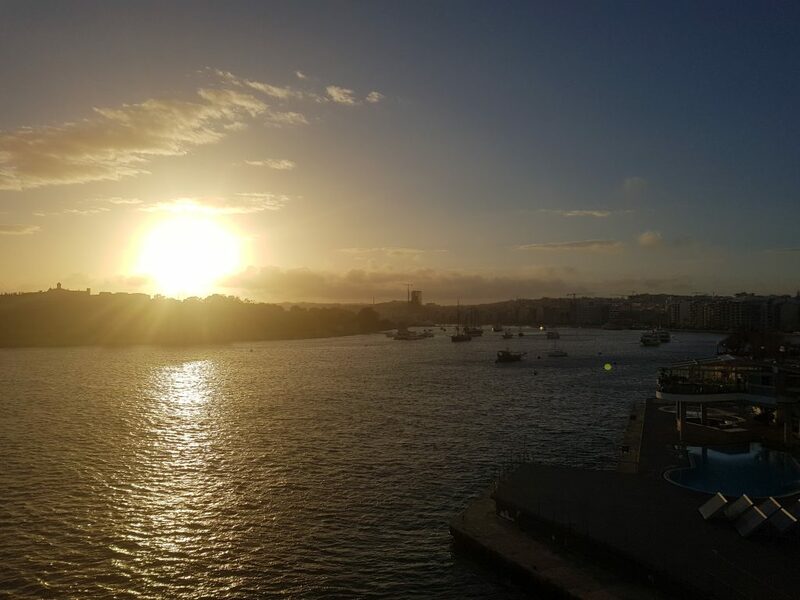 – Watch the sunset from the waterfront and admire the panoramic view of the Grand Harbour. 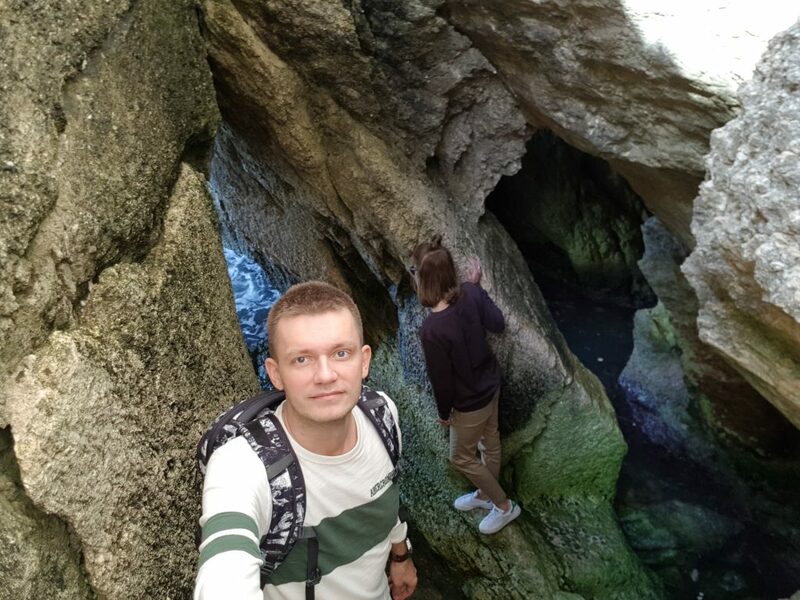 If you are a fan of caves (btw. 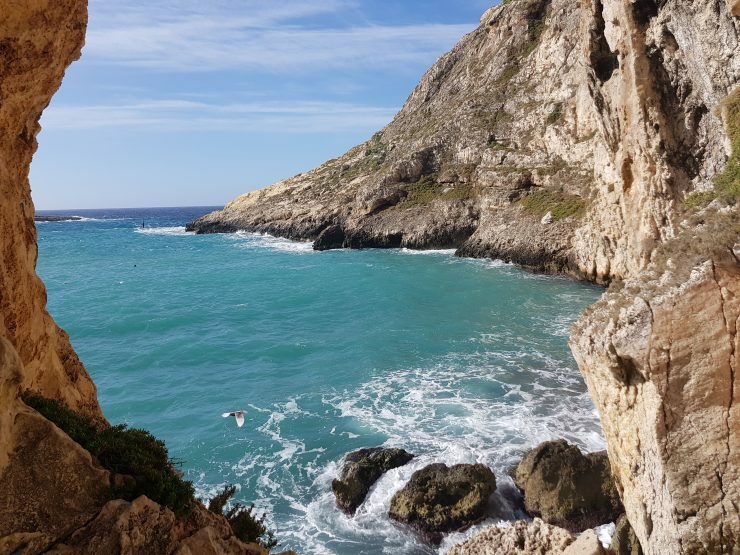 have you visited the best cave in Europe – Algar de Benagil in Algarve?) 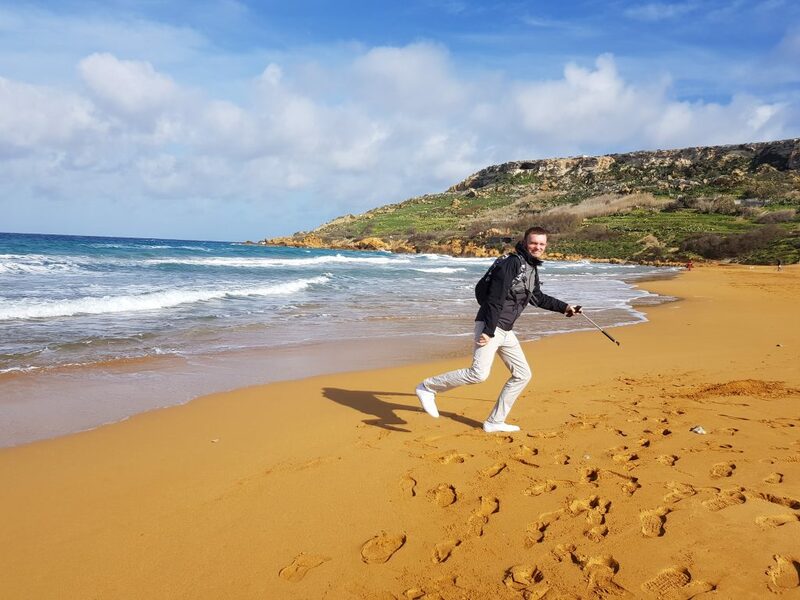 make sure you add this one to your list of things to do in Malta! The water in Coral Lagoon is clear blue – no wonder that it’s very popular with divers exploring the underwater caves. 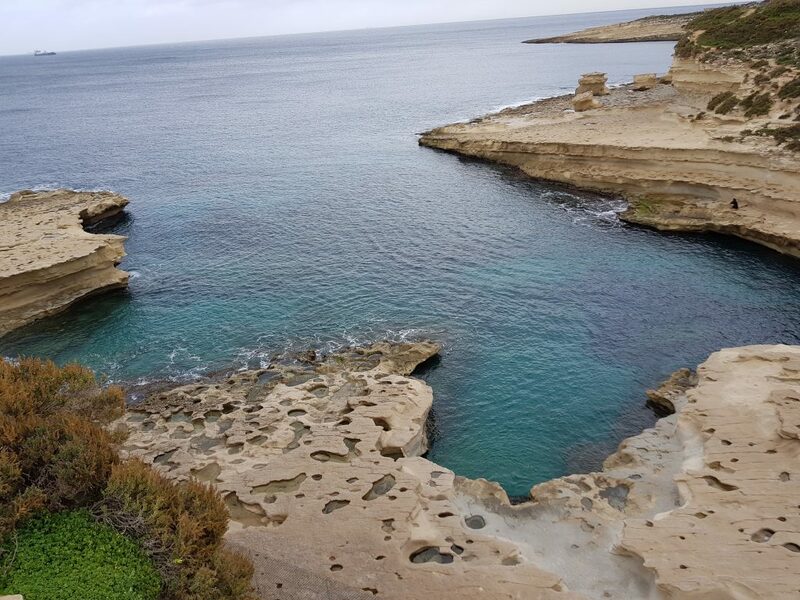 The only way to access the lagoon is from the water level, so if you are visiting Malta is summer months do rent a kayak and explore the Coral Lagoon. 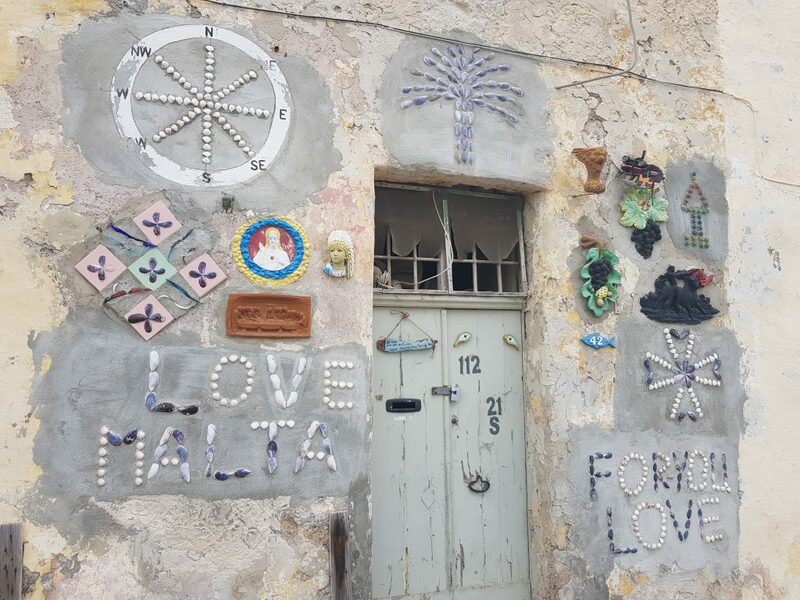 Looking for a colourful attraction when visiting the Maltese Islands? 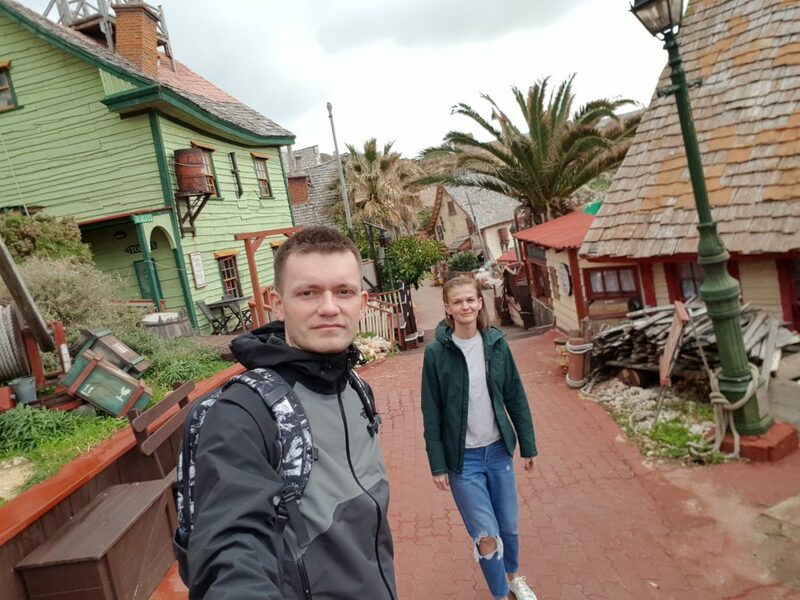 Don’t look further – Popeye Village, the popular film set of the 1980 musical production, is a perfect place to spend a half a day! 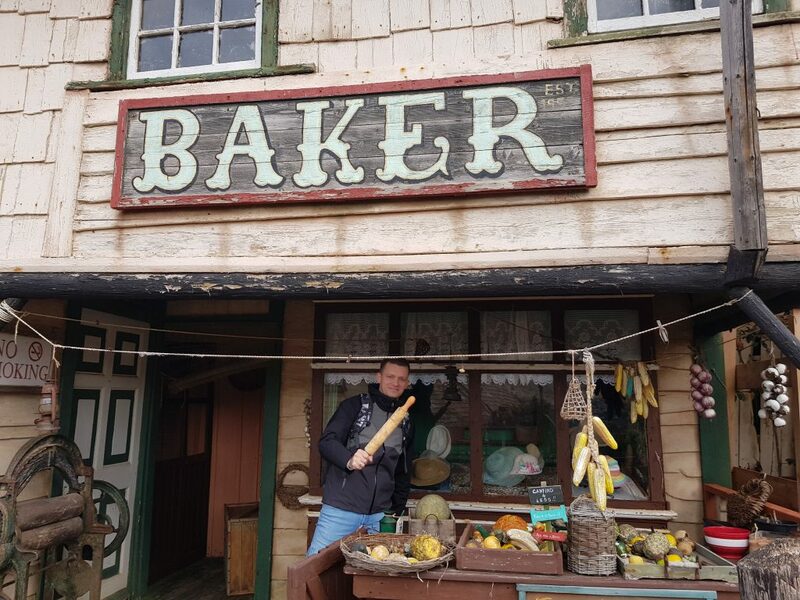 Whether you are in your 20s or a bit older (and still remember “Popeye” from the TV) you will definitely have fun while visiting this former film set. Worth taking few shots from the road above – the view of the whole Anchor Bay is just amazing! 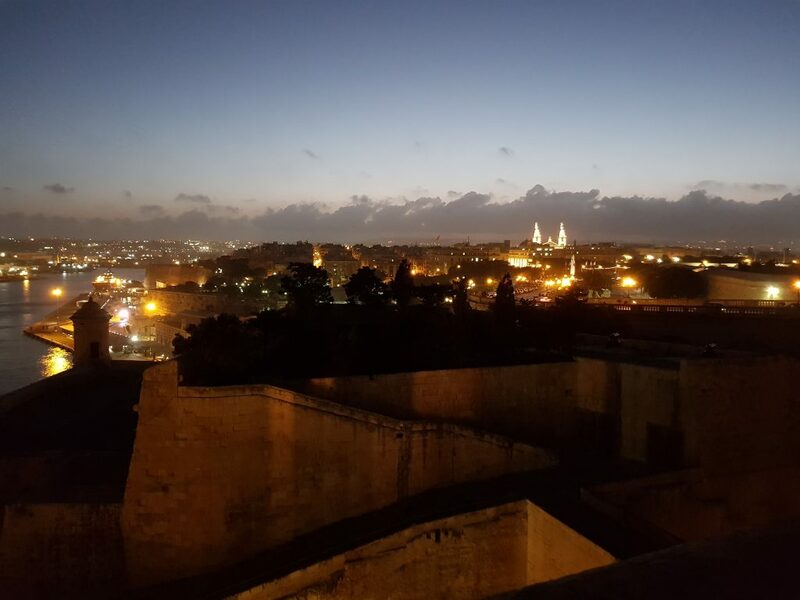 Malta’s must see! 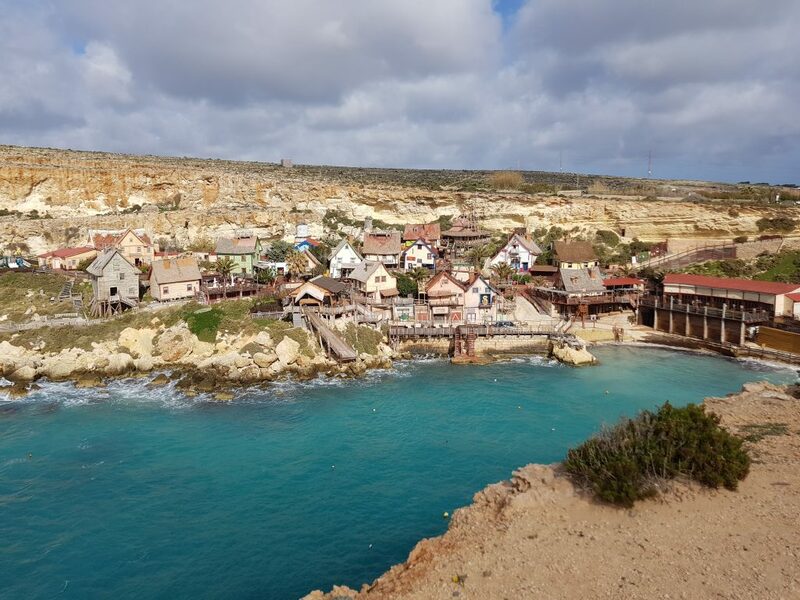 Have you added Popeye Village to your list of things to do in Malta? Better to visit during a warm day, but still enjoyable for a walk when it’s a bit colder. 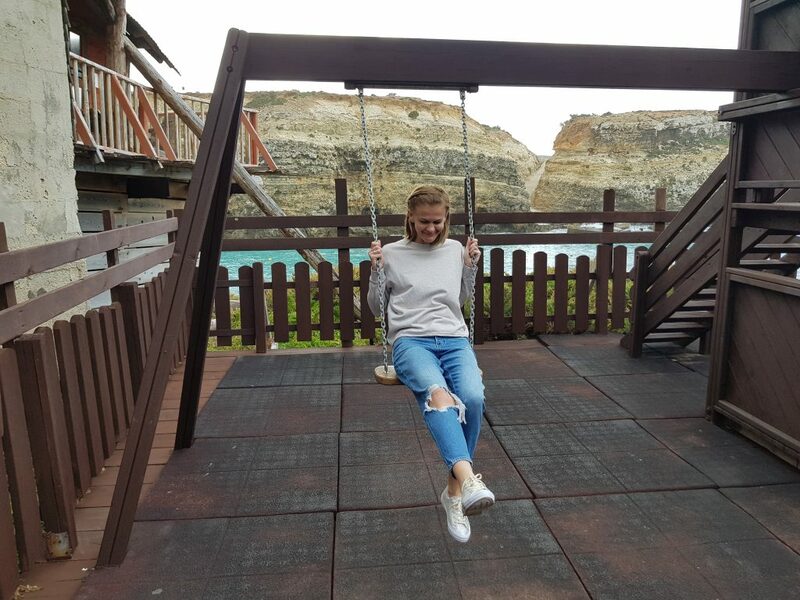 This place was on our list of things to do in Malta as we love cliffs and breathtaking ocean views. 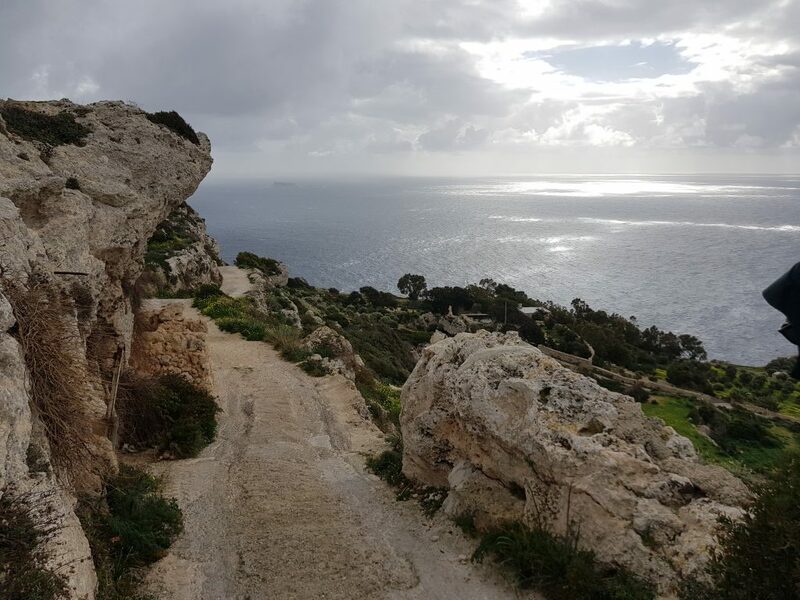 We had a short walk around the area but to be honest, since you are on the cliffs, you can’t see them very well. It’s still worth stopping and walking around for an hour but not longer. 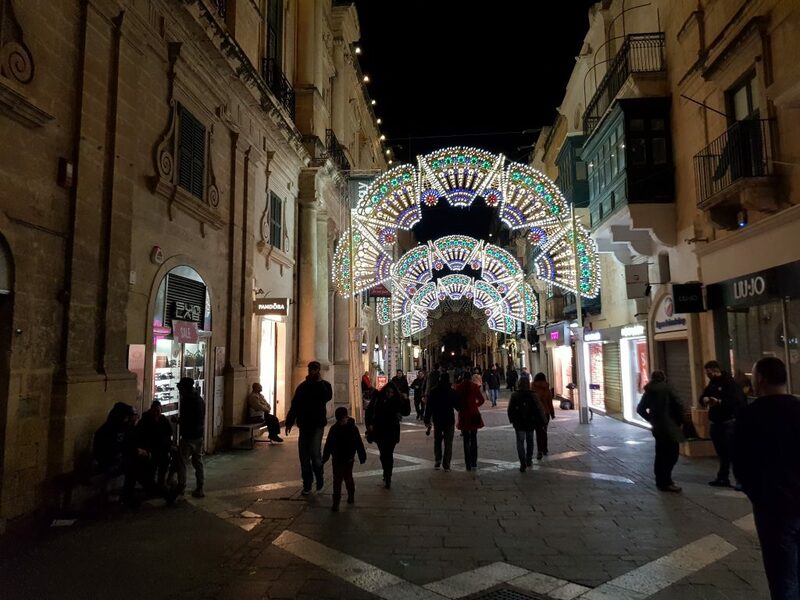 WAS IT WORTH TO VISIT MALTA IN WINTER? The country is very beautiful with many outstanding landscapes and views! So far, probably only Iceland has impressed us more. 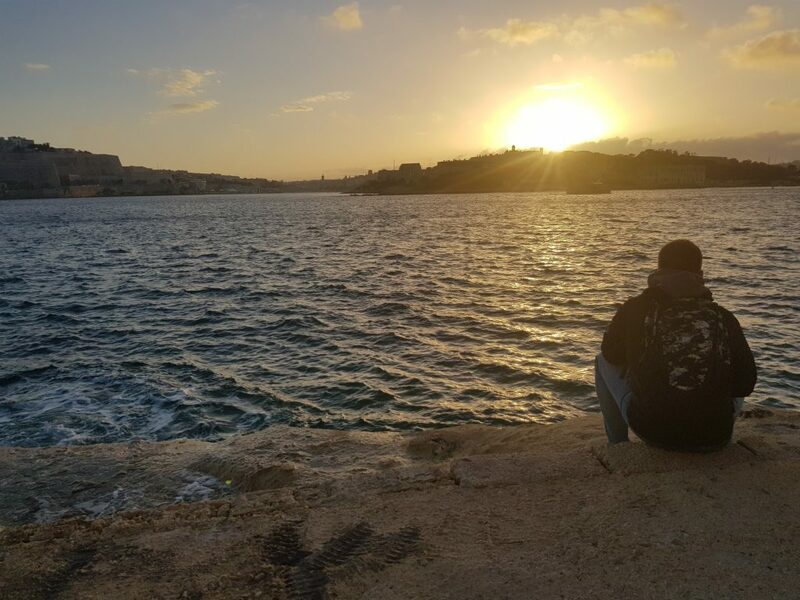 Is our list of the top things to do in Malta long enough?